What is a “Close Bet” function? Close Bet is an innovative function that has recently been introduced by bet365, allowing customers to collect winnings before the bet has even been settled. The option can also be used to cut your losses when you are second guessing your original wager. 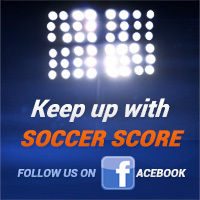 The new betting method is currently available on desktop, mobile, tablet, iPad and bet365’s mobile website, and it applies to soccer, tennis and basketball events. For the time being, it is not available to residents of Greece, Germany, Italy and Australia. 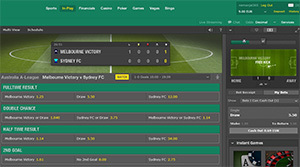 While Close Bet can be used for pre-match markets as well, it is meant to be deployed within the website’s in-play betting console, adding even more excitement to your live betting wagers and giving customers even more control over their bets. How does the “Close Bet” betting method work? The option can only be used after you have placed a bet on one of the supported markets that will be outlined below. If you later experience doubts over the success of your original bet, you can activate Close Bet and receive a settlement fee, in which case your initial wager will be void. The size of the fee will depend on the bet’s potential outcome at the time. In case the team/player you backed is in front but you are not convinced they will emerge victorious, you can trigger the Close Bet option and still earn a profit on your original stake. On the other hand, if your bet is in a losing position and you are confident things will not change considerably, the Close Bet function will cut your losses and ensure you receive a fee that is lower than the original stake. The settlement fee will obviously change as the match unfolds and it is up to you to pick the right time to activate the option. In order to check the current settlement fee amount, go to the upper right corner of bet365 homepage and click on ‘My Bets’. All active bets together with the current Close Bet amount will be displayed below. 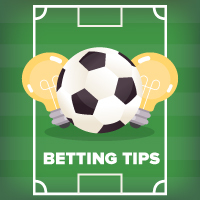 Close Bet function is likely to prove extremely helpful for all live betting enthusiasts since it allows them to change their minds after a bet has been placed and still win some money regardless of the outcome. It can be a great way to secure your winnings and not worry about a potential injury-time goal ruining your profit margin or cut your losses if things are not going according to plan. Either way, Close Bet method gives customers more control over their bets and that has got to be considered its biggest advantage.